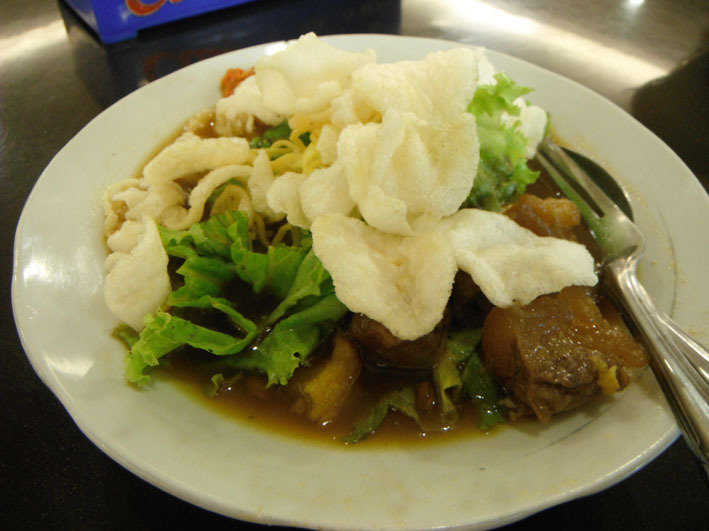 It is a typical East Java food, looks like black beef soup with rice. 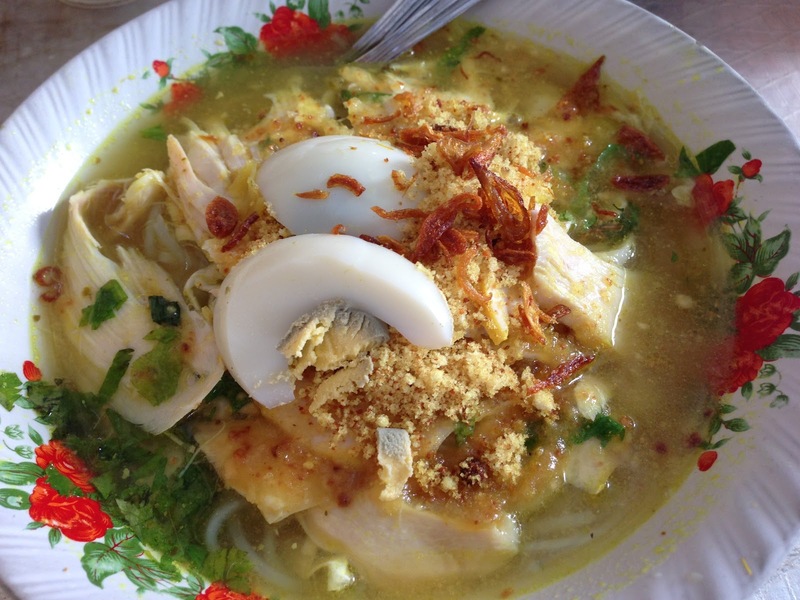 It is a typical East Java food, looks like yellow chicken soup with rice. 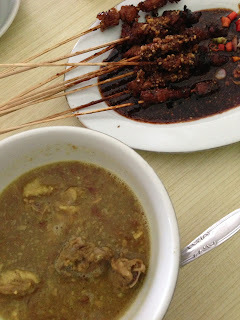 The one with beef is called Soto Daging. Javanese version of fried rice. Also Mie Goreng Jawa, the fried noodle. 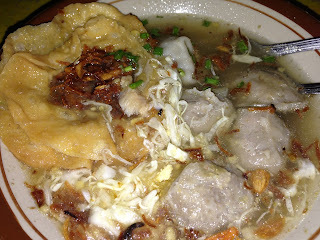 Meat balls with noodle in soup. 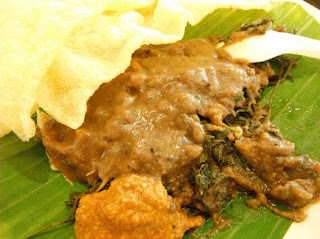 Cingur literally means cow nose. It is indeed a mix of Cingur, tofu, tempe, vegetables with black petis (black sauce made from shrimp head) sauce. 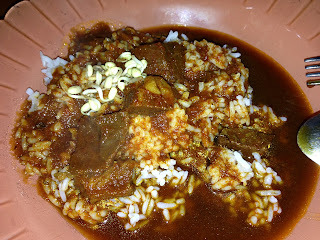 The hot level can be adjusted with the number of the chilli. A mix of vegetable with peanut sauce. 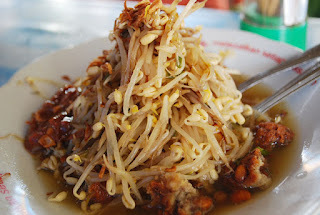 Full of bean strout with clear soup and petis (black head shrimp sauce). 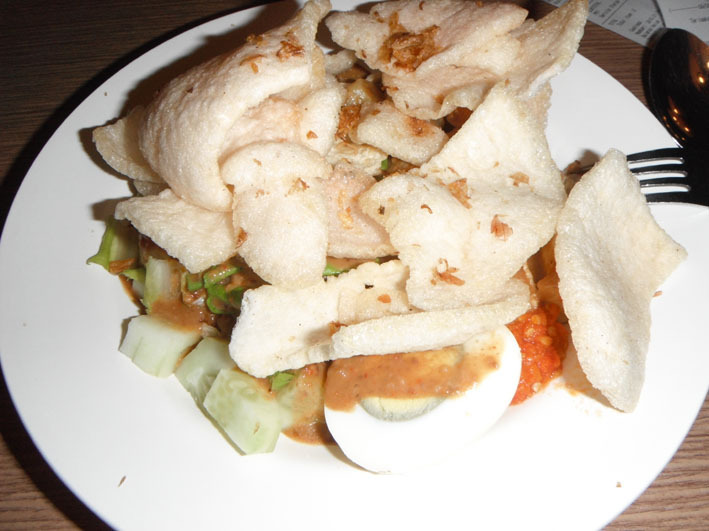 Vegetable called semanggi, with peanut sauce and krupuk. Literally means Mix Tofu. Mix of tofu, vegetable, and muscled beef. 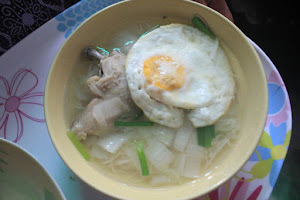 Kambing is goat, so it is a goat yellow soup. Usually paired with goat satay. Lontong is made of rice, crushed then solified. Mie is noodle. 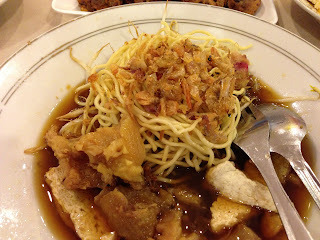 It is a mix of lontong, mie, tofu, beef muscle, with petis (black head shrimp sauce) and clear soup.